Last month Xerox announced a remarkable leadership transition underway. After a 33 year career at the global document management company including eight very challenging and successful years as CEO, Anne Mulcahy (56), will be passing the helm to Ursala Burns (50), a 30 year company veteran and the current president. Not only is this a groundbreaking woman to woman leadership transition, but Burns will also be the first black female CEO to run a large publicly traded company. Congratulations are in order to Mulcahy, Burns and Xerox in blazing the trail and making American corporate leadership history! 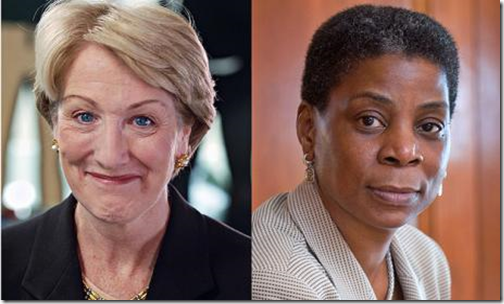 Tagged with Anne Mulcahy, Diversity, leadership, succession, Ursala Burns, Xerox.